By combining their passion for fire, Argentine culinary techniques and outstanding British produce, Up In My Grill have succeeding in creating some of London’s best steaks. Their grass-fed beef comes from Yorkshire and is grilled over English wood and charcoal, making fire an integral part of their menu. 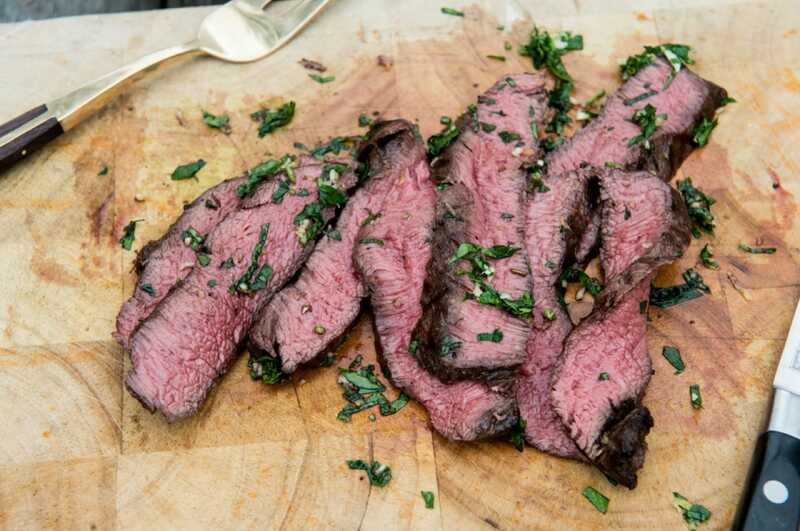 Feast It loves the Bavette Steak Plate… their simple signature dish with beef, fries and a chimichurri sauce. 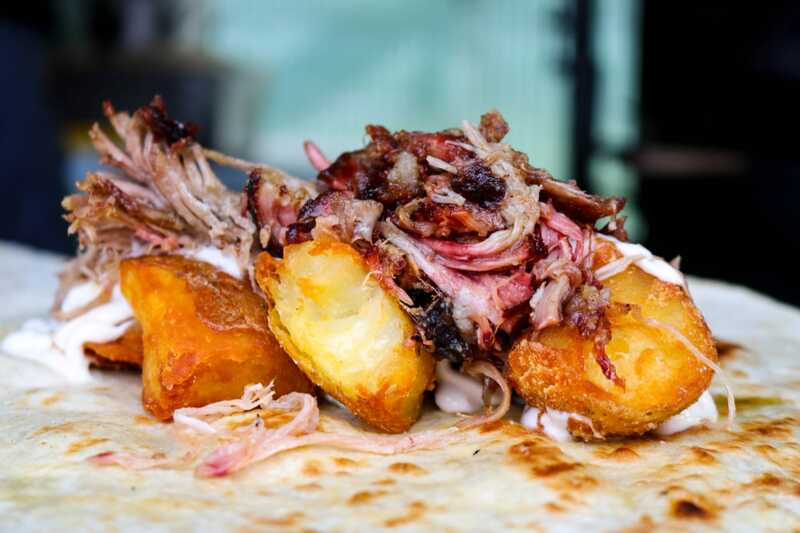 With a permanent site at the bottom of the Gherkin, WALTER and MONTY are feeding Londoners with some of the most exceptional barbecue food that we’ve had the pleasure of sinking our teeth into. They’re all about simple cooking and great produce with an elegant menu created by fine dining chefs. Feast It loves the Beef Picanha… this top sirloin is marinated for an impressive 36 hours in salt and pepper, garlic and olive oil and served medium rare. Our preferred combination is with a side of sweet potato fries and charred corn on the cob. 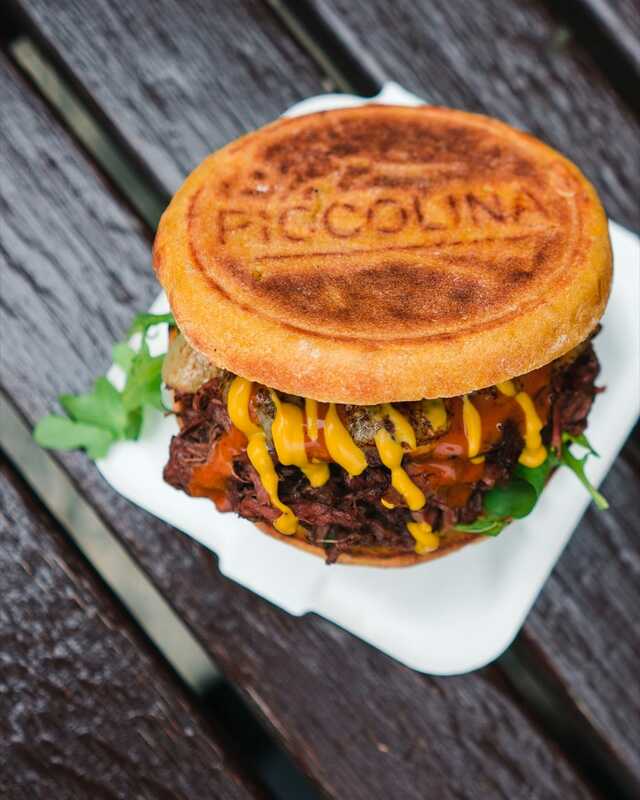 Inspired by traditional Portuguese slow roasting techniques, Piccolina are blowing the minds of Londoners with their succulent sandwiches, perfect pulled meats and delicious dry aged beef burgers. All the meat they use comes from British farms and is free range and grass fed. They will never cook anything for less than 8 hours, so you can expect some seriously juicy dishes. Feast It loves the Dry Aged Beef Burger… a classic done excellently, the shredded beef is served with salad, pickles, cheese, ketchup and mustard in your choice of brioche or sweet potato bun. With his background in fine dining and passion for butchery, Dan uses an Argentinian grill to cook beautifully simple cuts of beef and pork. Carcass LDN work with local butchers to ensure that only the finest quality meats are used and can impress your guests with live fire cookery demonstrations at your event! 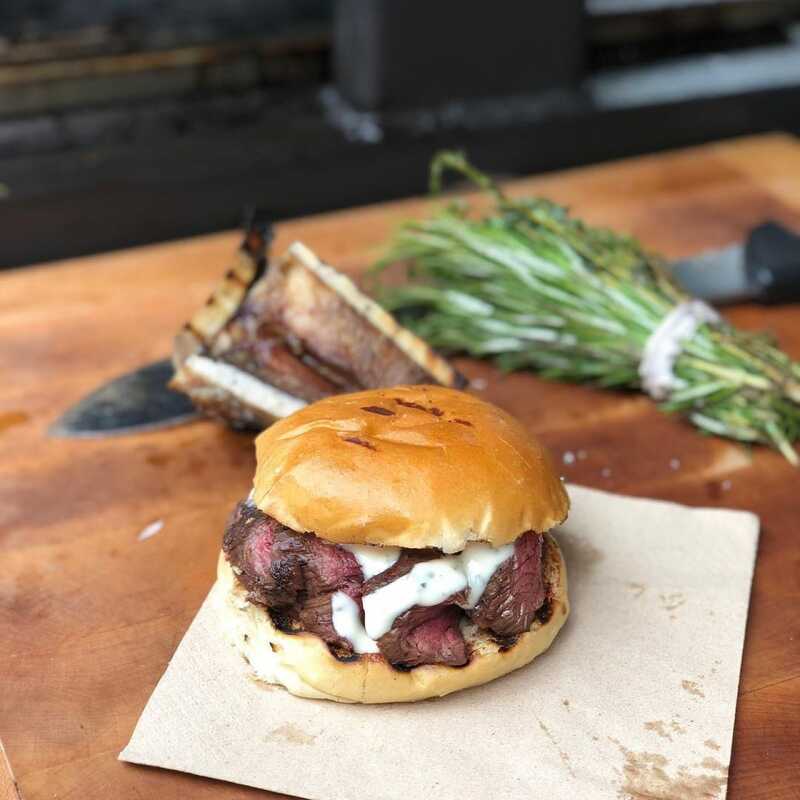 Feast It loves the Barbecued Beef Cuts… succulent slices of meat served in a grilled buttery brioche bun with rosemary fries. 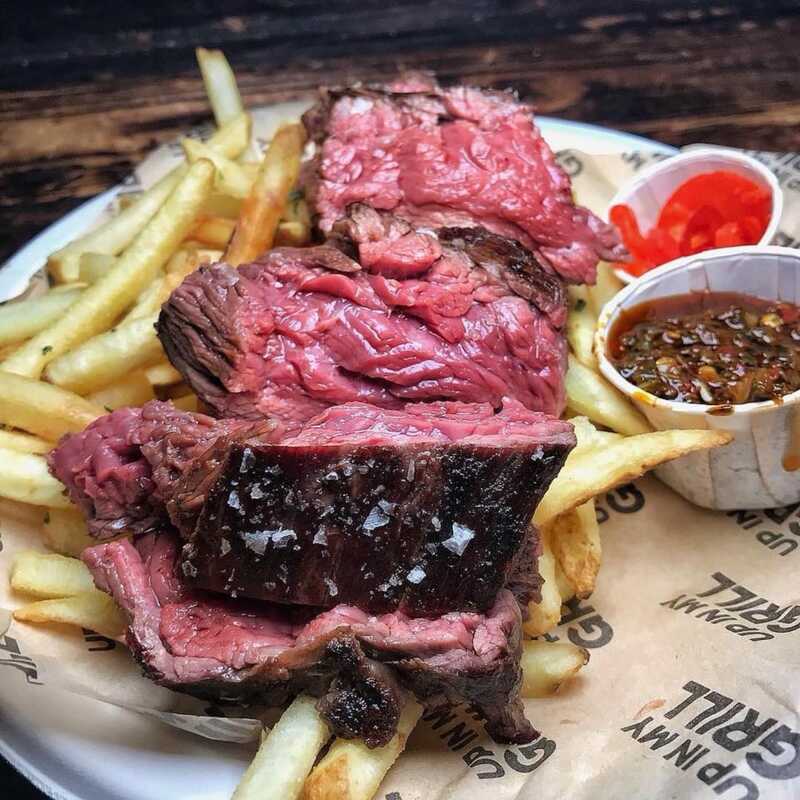 A world where South America and the British countryside collide, Gaucho BBQ are experts in juicy barbecued meats, seasonal salads and indulgent desserts! All their chicken, beef and sausages are sourced locally and they cook everything using charcoal, giving their dishes real authentic Argentine flavour. 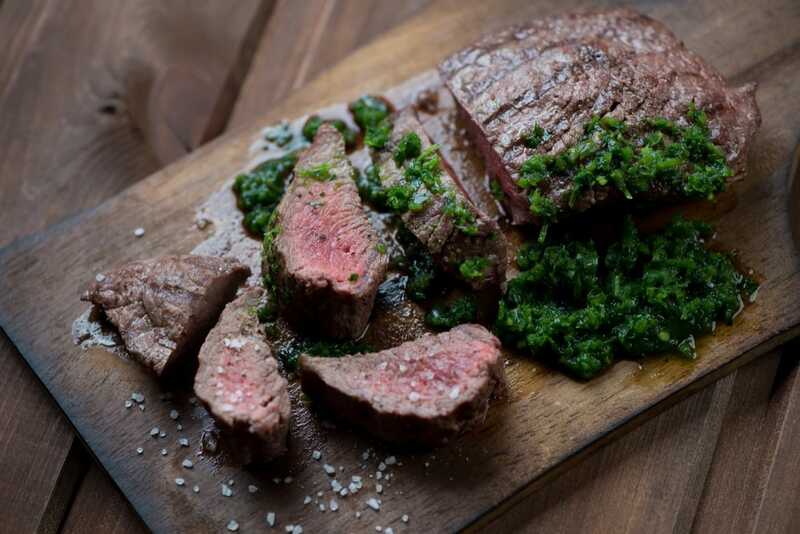 Their succulent meats are served with rustic bread and chimichurri. Feast It loves their tender beef with a side of grilled halloumi and roasted vegetables, all cooked to absolute perfection on the barbecue. With a mouth watering menu of baby back ribs, rump steak, pork, homemade sauces and grilled aubergines and halloumi, it’s no wonder that Street Pig are award-winning! Everything is made from scratch, creating bold and fresh flavour and even their BBQ sauce has won an award. Feast It loves the Rump Steak… flame cooked rump steak with red pepper and harissa relish, onion and chimichurri sauce in a toasted baguette. We’ll take that with a side of macaroni cheese with a blue cheese crust! Far from being your average barbecue caterer, Cue Point have flipped the world of cooking meat right on it’s head by introducing ingenious flavours and techniques from all around the world. Their whopping 14ft barbecue means they can smoke, grill and roast a variety of meat all at the same time and all their rubs, sauces, jams, pickles and liquors are made in house. Feast It loves the Pork Belly Narco… juicy pork belly on an Afghan taco with pickles, Kohlrabi slaw and a honey and mustard sauce. 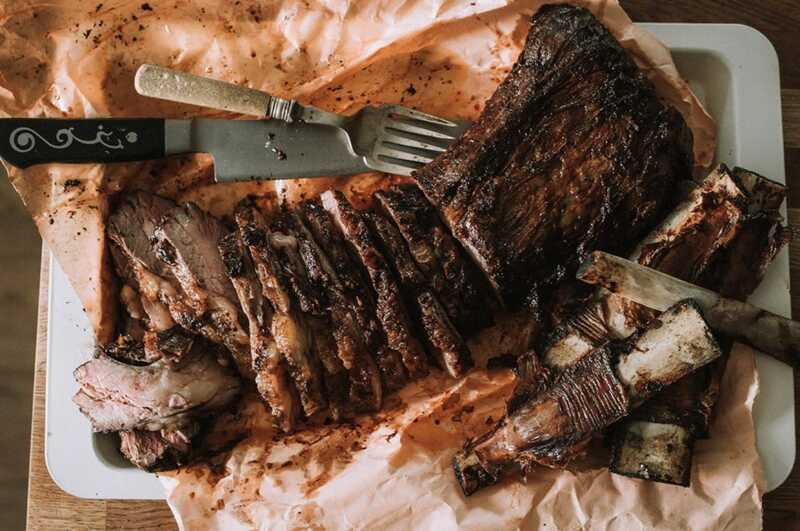 If you are looking for an unconventional, collaborative catering experience where you can enjoy succulent, wood-smoked meats, then Fox Hat are an excellent choice. They bring their Land Rover Defender, Grizzly, to events and it also doubles up as a bar. Their smoker, Ginger, can feed up to 500 people with rustic and incredibly flavoursome meats! Feast It loves the Beef Brisket… this is the star of the show, slow cooked for over 12 hours, giving it a mind blowing oak smoked and beefy flavour. When it comes to cooking meat, the slower the better, which Pulled have taken to a new level, roasting their free range British meats on a very low heat for a very long time! Their menu consists of slow roasted chicken, beef brisket and pulled pork with sophisticated pairings and homemade sauces, sandwiched between golden brioche buns. 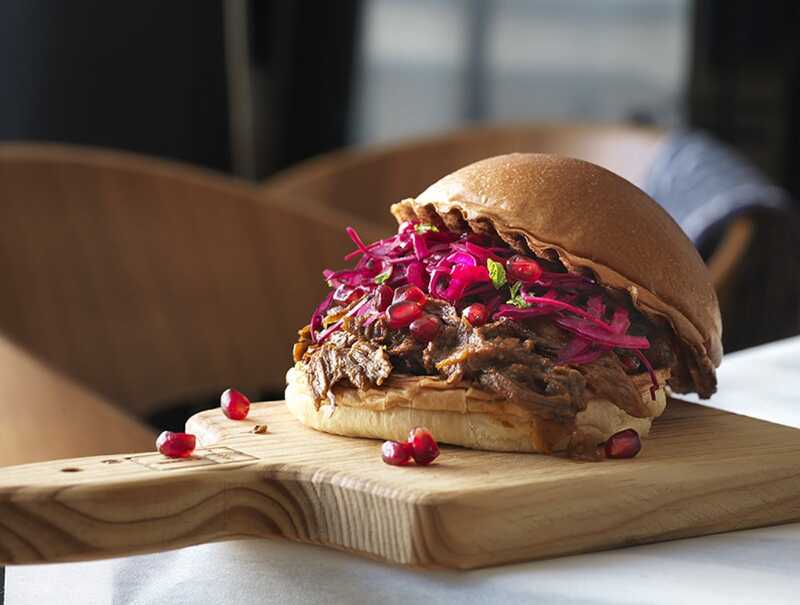 Feast It loves A Sweet Little Lamb… lamb shoulder slow roasted with hickory and maple, topped with mint slaw, pickled red onion and fresh pomegranate seeds that burst in your mouth. You can hire any of these caterers for events big or small, from wedding receptions to corporate parties. We have over 400 other unique caterers and mobile bars on our site, all handpicked by members of our team for their professioanlisn, event experience and delicious food and drink! Make an enquiry today to provide your guests with the country's finest independent food and drink.